Show your support, sign on! Thank you for addressing this very real challenge . WORDS do matter. Hi Jackie, thanks so much for your support! 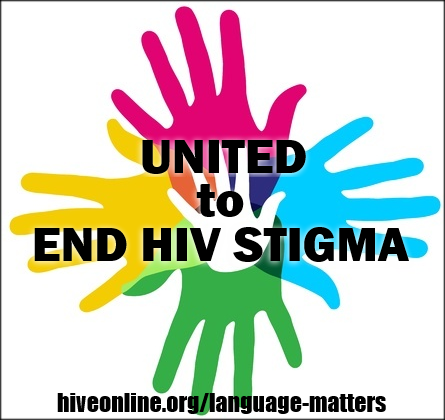 Words have stigma & can hurt feelings. Also words can get in the way of treatment if they harm & scare people away. Hi Penny, we totally agree! #language that people use against someone like myself that have been positive going on six years in September, the smallest words comments can be the ones that kill us inside.